Hundreds of Chabad student rabbis are hitting the road for the summer months, on a mission to bring the faith to their fellow Jews. Hundreds of Chabad-Lubavitch rabbinic students are hitting the road for the summer months, on a mission to bring the faith to their fellow Jews. The summer program, known as “Merkos Shlichus”, first began in 1948 at the behest of the prior Lubavitcher Rebbe, Rabbi Yosef Yitzchok Schneerson, of righteous memory, under the auspices of the educational arm of Chabad, Merkos L’Inyonei Chinuch. The mission is considered a summer “rite of passage” for Chabad-Lubavitch yeshiva students, and a lifeline for small communities and isolated Jews around the world. Each summer, from that first year, the students were sent out by Rabbi Menachem M. Schneerson, the most recent Lubavitcher Rebbe, of righteous memory, also Rabbi Yosef Yitzchok’s son-in-law, who served as the chairman of “Merkos” at the time. He eventually succeeded his father-in-law as Rebbe of the worldwide Chabad-Lubavitch movement. This year some 300 rabbinic students are being dispatched with tefillin, mezuzahs, Jewish supplies and timeless Torah scholarship for their brethren in Greece, Nepal and Peru. 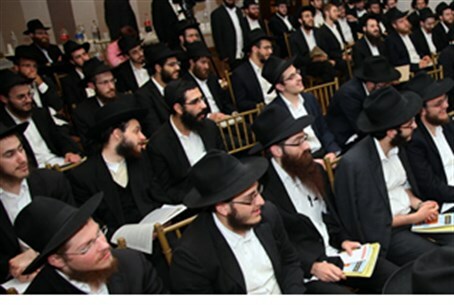 Last week Rabbi Moshe Kotlarsky, Merkos vice chairman and director of the program, opened the annual training program in the Crown Heights section of Brooklyn, NY together with Rabbi Yehuda Krinsky, chairman of Merkos and personal secretary to the Rebbe. Rabbi Krinsky, who also spent his summers “roving” from 1951 to 1957, shared with the rabbinic students how sometimes he left New York with nothing other than a list of cities – no phone numbers or contacts, just samples of the Yiddish-English “Talks and Tales.” Making their way through rural America, related Rabbi Krinsky, he and his partner sometimes slept on synagogue benches or floors. Much has changed since then, the students were told, but they were reminded of the Rebbe’s call to take their personal Torah texts with them at all times. “Right when you think you are ready to call it a day, make sure to knock on one last door, reaching out to one last person,” reminded Rabbi Dov Greenberg, director of the Rohr Chabad House serving Stanford University in Palo Alto, California.